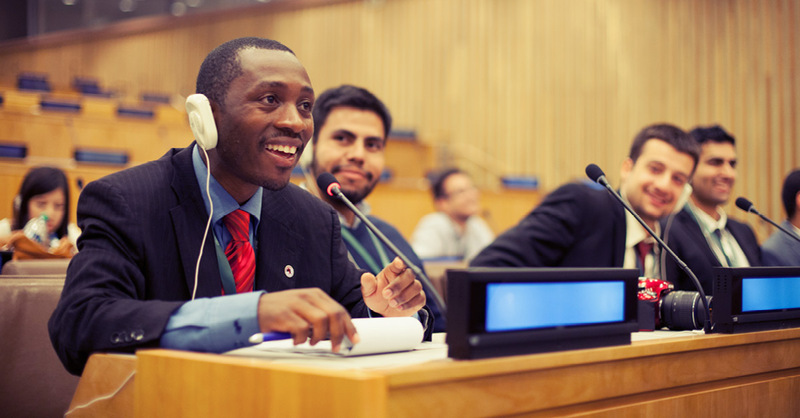 To view the UNAOC-EF Summer School Blog, click here. The Summer School brings together youth from around the world to address pressing global challenges within the context of cultural and religious diversity. This educational experience for young civil society leaders is designed to strengthen their knowledge and skills, empowering them to be more effectively involved in building peaceful societies and collaborating across differences, through an increased network spanning the globe. Since 2010, UNAOC has implemented Summer Schools based on the conviction that youth are a driving force for positive social change and should receive adequate support to enrich their action. The 2010 and 2011 editions were held in Portugal and the 2012 edition was held in Malta. In 2013, UNAOC joined forces with EF Education First, a private international education company. Under this partnership, the last three summer schools were held in the New York State. During one week, a group of 75-100 participants aged 18-35 engage in workshops, roundtables and collaborative work focused on fostering diversity and global citizenship; reducing stereotypes and identity-based tensions; promoting intercultural harmony and social justice. UNAOC implemented 6 Summer Schools so far, offering nearly 500 youth from 119 countries the opportunity to increase their understanding of other cultures and faiths, of the similarities that unite us despite our differences and to act for positive social change. Moreover, the participants received concrete, applicable tools for growing and sustaining their impact as activists, change-makers and leaders in their initiatives and organizations. The participants walked away with a network of individuals committed to intercultural dialogue and joint action and collaboration. They have returned to their communities with a powerful story on the strength of diversity and a renewed commitment and motivation to continue their work.